Cuban-themed new year celebration at Liz’s saw me making daquiris. Banana and strawberry went down well. 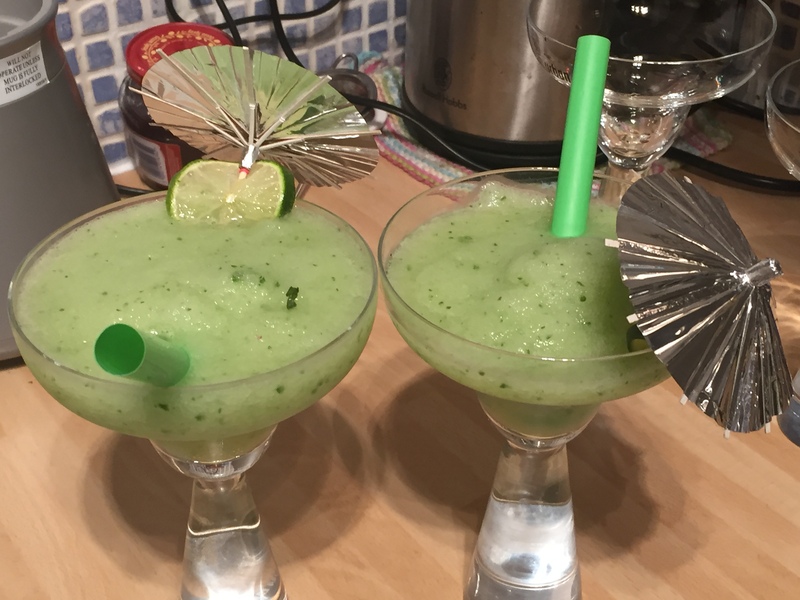 The cucumber one got mixed reviews, but it looked pretty and qualified as one of our five-a-day.